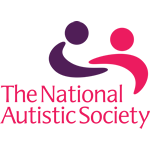 The National Autistic Society is the UK’s leading autism charity. They have been discovering pioneering new ways to support people and understand autism for more than 50 years. Their vision is a future where the wider community understands autism better, so that all ages of people with autism can be supported and appreciated for who they are. You can support the National Autistic Society by buying your Christmas cards from Cards for Good Causes this festive season.